24/7 locksmith we are here serve you! 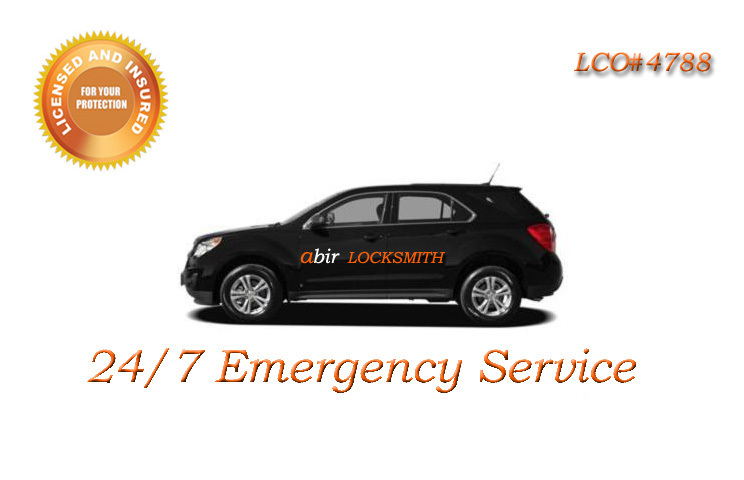 Abir Locksmith provides a reliable, fast and professional locksmith services for all of Sonoma county area. We specialize in residential, commercial and automotive services. Our technicians are ready to provide high quality service at the most competitive rates. Here at Abir Locksmith we understand the importance of your security needs and hope to earn your trust by providing you with an excellent and personal customer service. We can unlock any car that is on the road today. If you locked your keys in the trunk or if you have a luxury car, we can help. In addition to helping with standard lockouts, we have trained our technicians not to damage your doors, keys, and ignition when performing any services for you. If you have any issues with your ignition or your keys are lost, we can replace, rebuild, and re-key it onsite. If your ignition was damaged by a car thief, normal wear and tear, if your key snapped off in the ignition, or someone that is not authorized to use your vehicle has your keys and you want to prevent them from using it, we can solve your problem. For businesses and ﻿commercial﻿ properties, we service and install all types of commercial hardware, including biometric locks, electronic keypads, proximity locks, heavy duty deadbolts and levers, mortise lock mechanisms, Adams Rite locks, door closers, panic-exit devices, key card entry systems, and a lot more. We understand that running a business requires organization and efficiency. We can arrive at your business and re-key your locks any time 7 days a week. The most common requests we receive are for an employee change or to service or replace hardware after a burglary. We can rekey your locks after employee changes, or if you need a master key solution for your business. Abir Locksmith gets the job done right that you can sleep better at night. We offer a large variety of security products at the most affordable rates. We will provide you with a quality customer service and a free estimate that best suits your requirements and budget. Emergencies are a stressful time for everyone involved. We understand that you need the problem solved immediately. We need your help to expedite the process. First, make sure that you answer your phone when we call you back. Second, help us by giving us your exact location. In the event that you are unsure, open your map app in your smart phone and a blue dot will show your exact location – please share that with us. Third, have your state issued ID ready for us to verify. Finally, provide us with as much exact information regarding your emergency as possible. For example, if you need a car key made, please tell us the make, model, and year of the car. We also need to know if the key you lost operated both the door and ignition. If you are experiencing a emergency, we need to know what happened, how many doors and keys need to be serviced, the brand name stamped on the lock and keys. All this information will help our technicians provide you with faster and more efficient service.